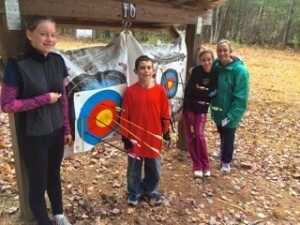 Archery | Westford Sportsmen's Club, Inc. The Westford Sportsmen’s Club currently has four archery facilities for members. These are open to all types of archery using field points, though we do restrict broadheads to specific block targets on the practice range. 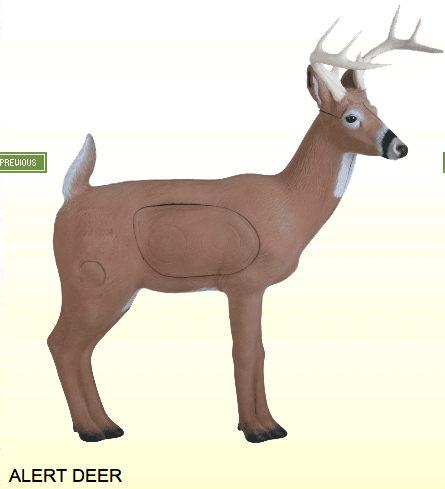 This offers dual bags at 5 distances from 10 to 50 yards, as well as 3D targets in season. For broadheads the practice range offers a broadhead target shelter as well as moveable broadhead-capable block targets. Behind the main range is a training area with a recently expanded hay bale wall, ideal for junior events since it accepts blunter youth arrows that too often bounce off bag targets. Nearby, our two-level (15′,26′) archery tower has its own 3-D target ranging from close-in, out to 50 yards. Finally, WSC offers a “Hunting Style'” 30-target 3–D course providing challenging shots at a variety of game animals (including deer, bears, and big game/exotics like elk, blesbok, ibex and dahl sheep) in actual woodland settings. The 3D course was enhanced early in 2016 to highlight some of our hillier terrain and views. 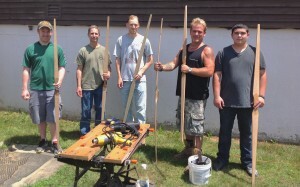 In 2013 we inaugurated a new archery crafts activity. Our 2014-2015 courses covered PVC bows, wood bows, strings, and arrows. In 2016 we’re offering a bowyer skills course, will repeat string and arrow clinics, and should finally get our leatherwork course started. See the Archery calendar for details, and our site’s Documents page for examples. We’ve regularly expanding our roster of USAA-certified instructors, and as interest arises we schedule range training sessions which are great family events. The 2016 target training programs will operate under our USA-Archery registered “Arcus Artists” junior and adult club. We work primarily at 10 and 20 yard distances comfortable for beginners, and qualifying for indoor archery award pins. Here is an introduction to archery fundamentals. See below for the club safety procedures. Several Sunday mornings each year we host the Granite State Bowhunters Association on our 3D course. These events are open to WSC members and the public at $15, youth under 18 shoot free. GSB memberships earn a $3 discount at our shoots as well at other area clubs throughout the year. Fresh cooked breakfasts and lunches at the clubhouse “Archery Cafe” make these events perfect for for family fun. Our range procedures are documented online, and are available for printing. We send periodic newsletters and event notices to all WSC members who sign up for our “Archery Interest” mailing list. Those participating in craft clinics may also receive emailed course material – you can find some examples in the Archery section of WSC’s document archive. Scheduled events are listed on the WSC web calendar (and in the Archery-only calendar view, below). And we include writeups of completed events in the club’s monthly newsletter – past newsletters are archived online. Granite State Bowhunters 3-D Shoot, All Archers Welcome! 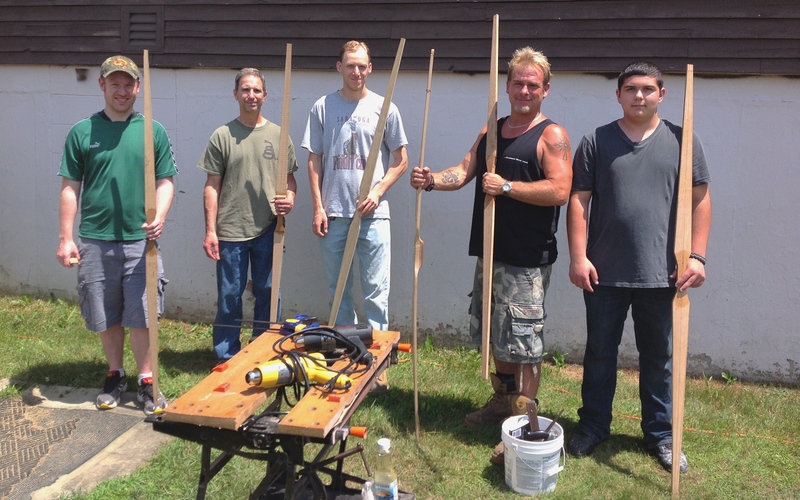 The Archery group is hosting a Granite State Bowhunters 3D shoot. Adult GSB shooters with membership cards pay $12, non-members $15 - save $3 by joining GSB at registration ($10 for individuals, $15 for families). Under 18's shoot free. The clubhouse upstairs will be running a cafe, so the indoor range is closed for the duration. Outdoor ranges should remain open. Questions to the Archery Chair.